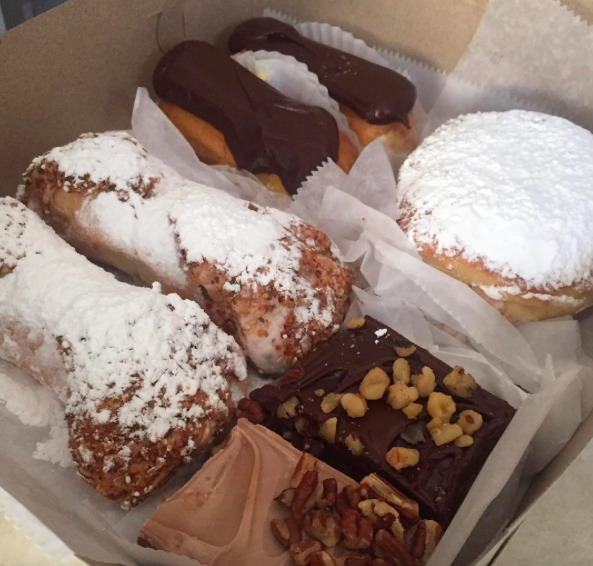 Don't kid yourself, we know they're your favorite pastry. We love cannolis, but we also know they’re next to impossible to make ourselves (unless, perhaps, you try this Spoon recipe). 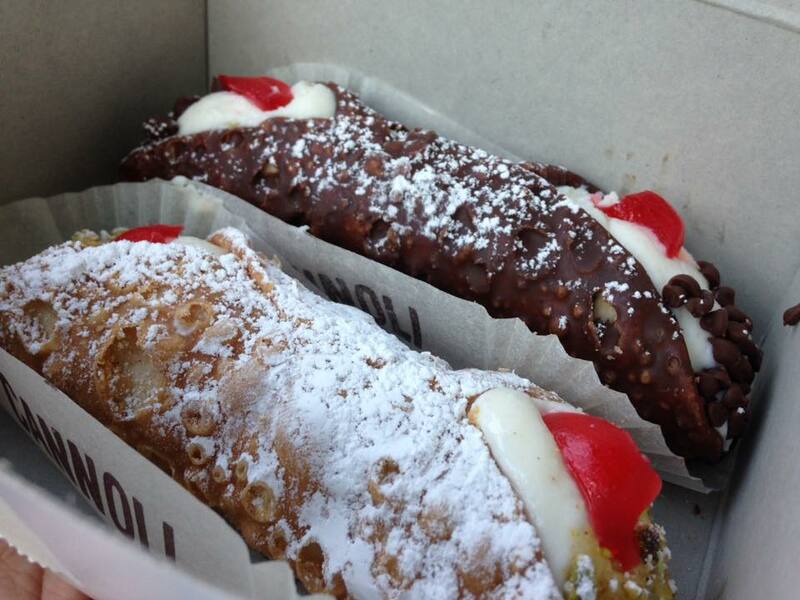 Good thing there’s so many good cannoli places across the good ol’ USA. No worries, you don’t even have to do your own research: we’ve already listed ’em for you. This little Italian place facing Washington Square Park is the gem all locals in the know will tell you is a necessary stop, and it’s because they do a cannoli that’s so beautiful it’ll make your eyes water. This old school Italian bakery is how they did it in the old country — and it’s way cheaper than paying for a ticket to Rome. For more San Fran gems (’cause we’ve compiled ’em all), read this. Apparently they sell upwards of 1,000 cannolis a week. Yeah, that’s how good they are. 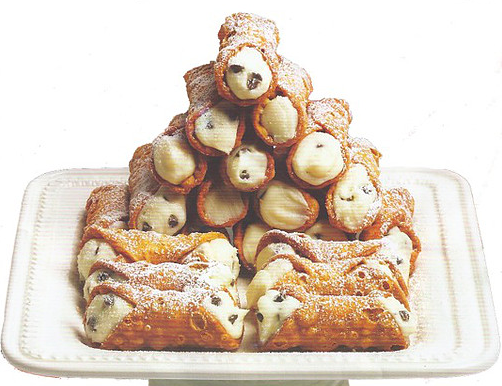 If you’re feeling really adventurous, try their “Big Cannoli” which is one giant cannoli stuffed with 40 mini cannoli. We know. We’re obsessed, too. If you’re up for it, here’s some other insane food challenges nationwide you can try. An old timer Italian once told me this place had the “Best cannolis [he’d] ever experienced in [his] entire life. Period.” So of course we had to take his recommendation to heart. I mean, how could we not? For more New Jersey food that is off the charts (’cause it’s so not the armpit of America), read this. 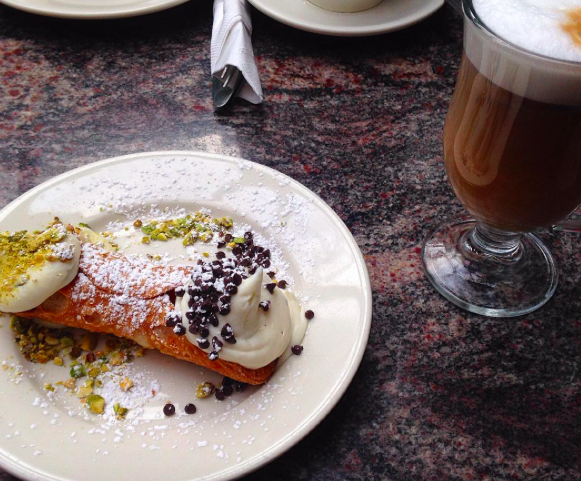 Bostonians certainly know what a good cannoli looks like, and this place in Boston’s very Italian North End district absolutely slays the cannoli game. I mean, check out their Instagram feed. Total #FoodGoals. Here’s some more Boston eats you’ve got to check off your bucket list. 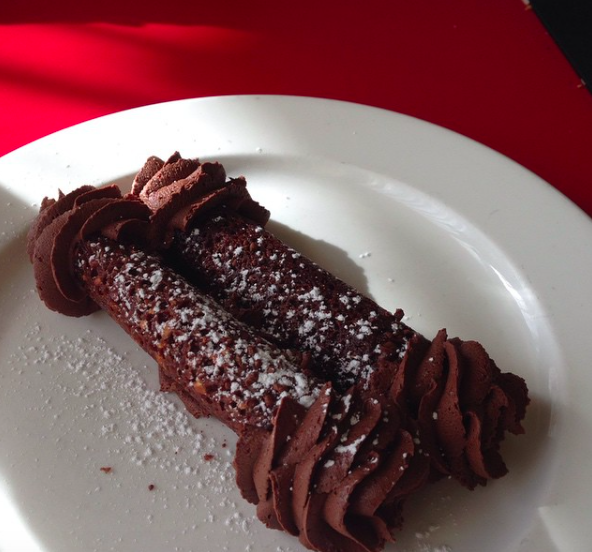 Piccione takes cannolis to the next level. 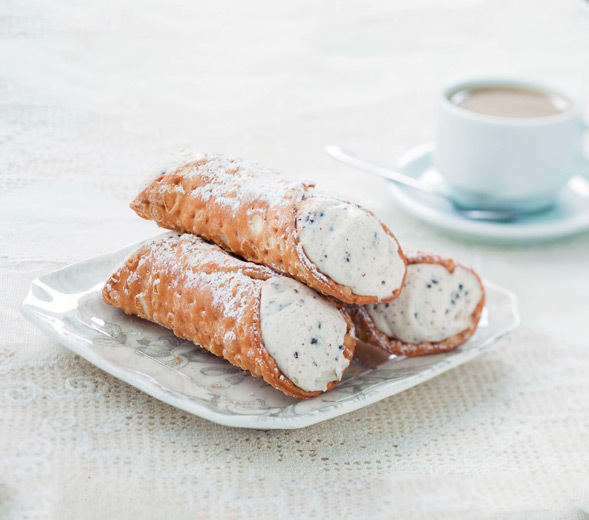 They move with the times too — even offering gluten-free cannolis for the celiacs of the world, along with special flavors like their “Chocolate Mint Brownie Chunk.” We’re obsessed already. Looking for more dessert spots on St. Louis? Look no further. 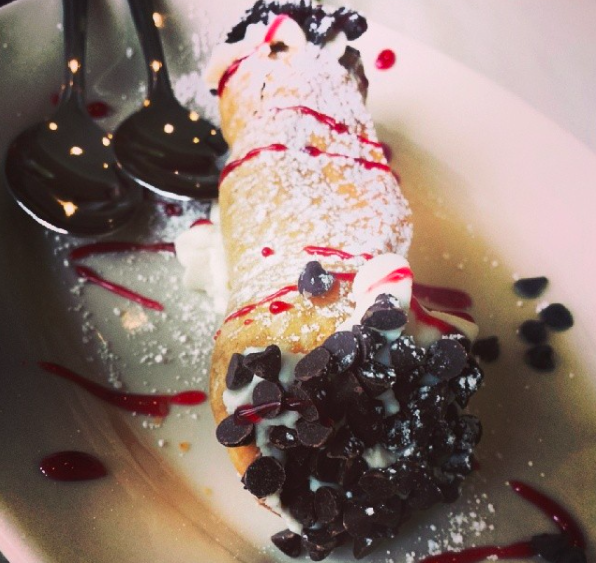 We weren’t kidding when we said Boston does insanely good cannoli. 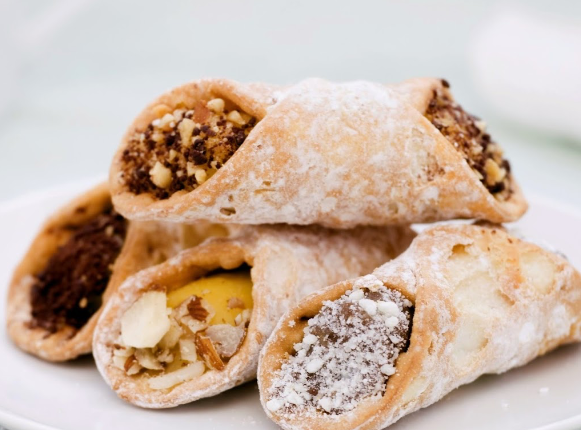 Also located in Boston’s North End Italian district, this place has (possibly) won “North End’s Best Cannoli” — a pretty prestigious prize, considering how many great Italian spots there are in the North End. 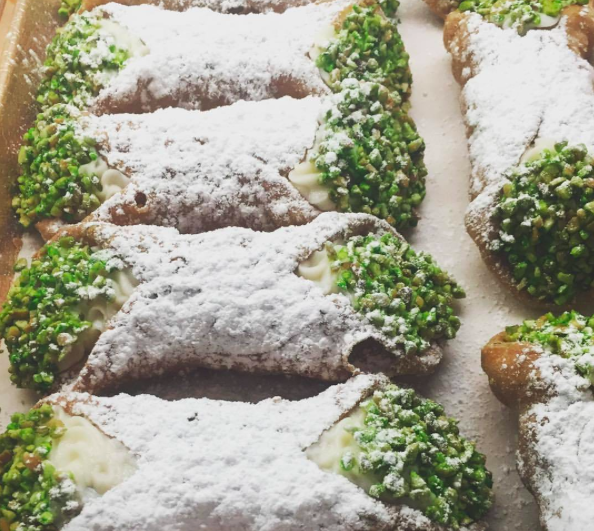 This trendy West Village old world bakery makes what may be America’s best cannoli filling, and we’ll tell you why — the best cannolis have “impasta ricotta cheese” and it’s the highest quality filling you can possibly get. Traditional Sicilian ricotta is made from sheep’s milk, and while apparently no American bakeries do ricotta with sheep’s milk (at least from what we know of, but we’ve heard unconfirmed rumors of some places that do), this is pretty much the closest you can get to authentic Sicilian without heading over there. For more authentic Italian creations, check this out. Photo courtesy of Chef Jasper Mirabale Jr. The pet project of Chef Jasper Mirabale Jr., he’s expanded his love of cannoli into gold. 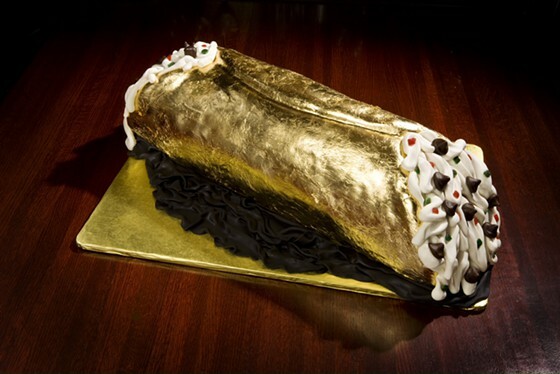 Therefore, you can purchase his 24k edible gold cannoli if you’ve got a ton of money to burn and you want to eat it all. I mean, we can probably think of some things more worthwhile than eating a gold cannoli, but hey, you do you. You can order it as long as you give the restaurant 24 hours notice, and this one goes for a whopping $26,453.25. ‘Cause you’ve probably got that much just sitting in your coin purse, right? Here’s more hip (and way cheaper) places to eat in Kansas City, in case you can’t afford to eat a gold cannoli. 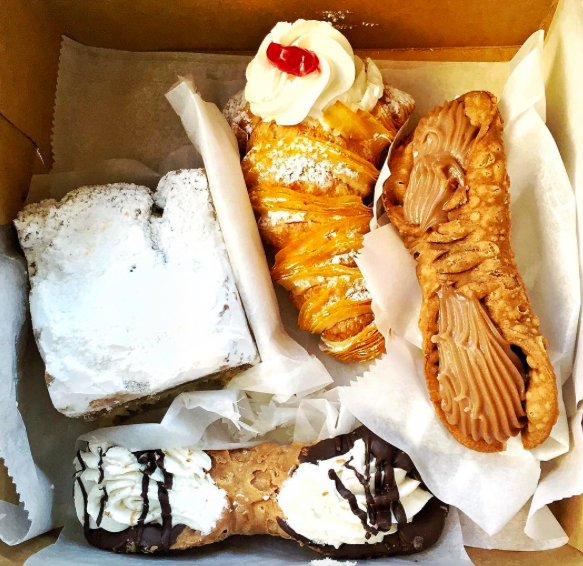 Known for their top-notch customer service (according to some diehard customers, you can even get in for one last cannoli right when the shop’s closing for the perfect bedtime snack), that won’t be the only reason you’ll be flipping out about this place. 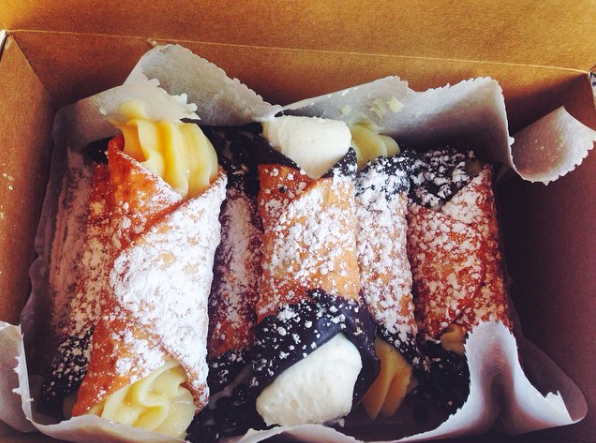 ‘Cause the cannolis are unreal. In the LA area for longer? Check out some of these delicious places, too. 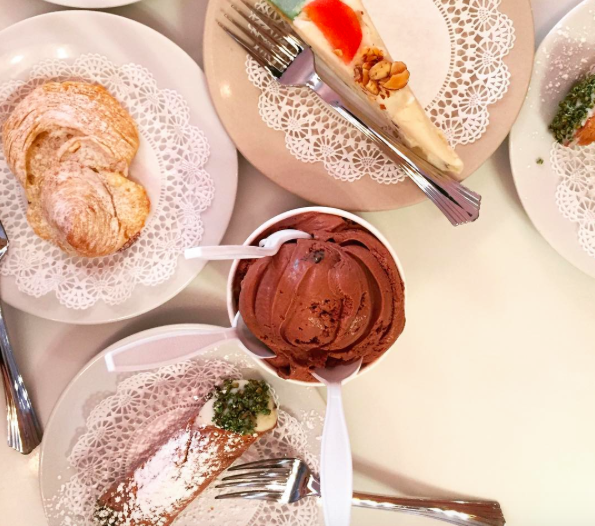 This chic Little Italy cafe is known for dishing up trendy (and super Instagram worthy) Italian delights (and, according to some Italians, almost as good as their grandma’s — which is highly worthy of praise). 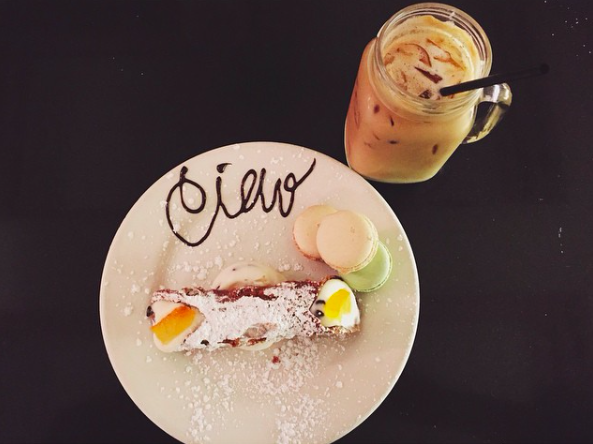 Come for some freshly brewed espresso and stay for the good vibes and cannoli. Sounds like a plan to us! For more places to eat, read this. 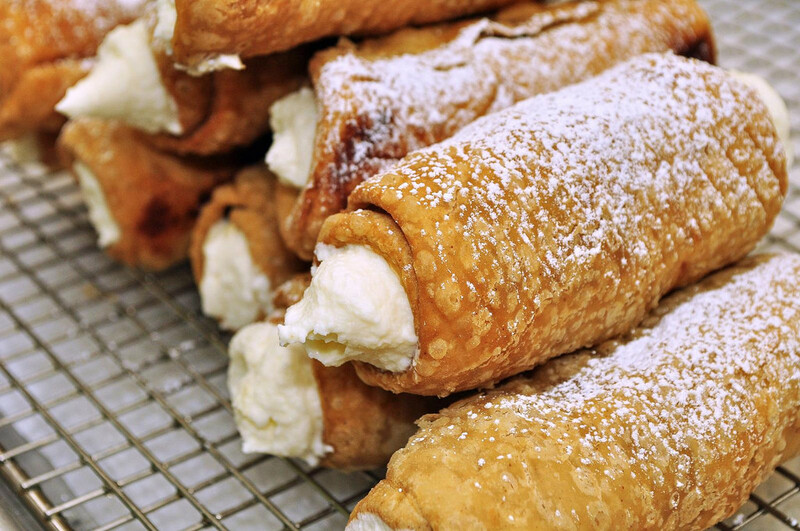 This little Italian/Greek takeaway offers the world’s most delicious strawberry fudge chocolate chip cannolis that will change your entire world view. Okay, maybe we’re exaggerating a bit… But they’re seriously good. Here’s some more delicious food for you to try in the D.C. area while you’re at it. Come for the pizza, but you’ll fall in love with the cannoli (and possibly the assortment of other delicious Italian desserts on offer). If you love it a lot, you can even get them to come cater one of your events including weddings, bar mitzvahs, anything! For more food in Colorado, read this. 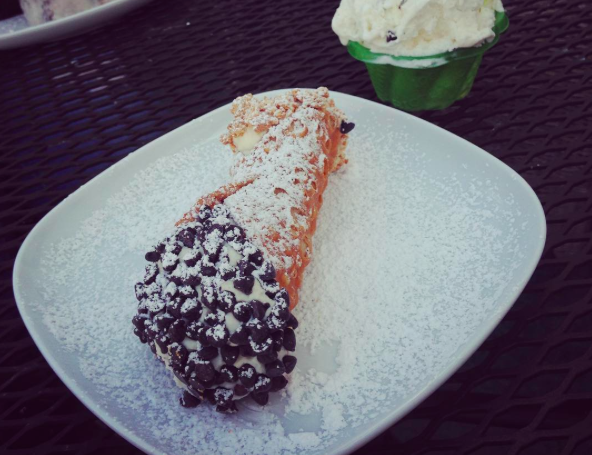 More than just an Italian ice cream shop, feast on creamy gelatos, homemade cakes, and some of the South’s best cannolis on offer. Laissez les bon temps rouler, eh? For more great food in NOLA, check out our New Orleans bucket list. We were told that their pizza is absolutely to die for (and apparently oh so Naples style), but the cannolis are, too. Apparently they’re the best thing you could possibly eat outside of Italy, the service is fantastic, and tons of customers wrote how impressed they absolutely were. Located near the Georgia Tech campus (you lucky people! ), this family-run pizzeria is just the thing to try. 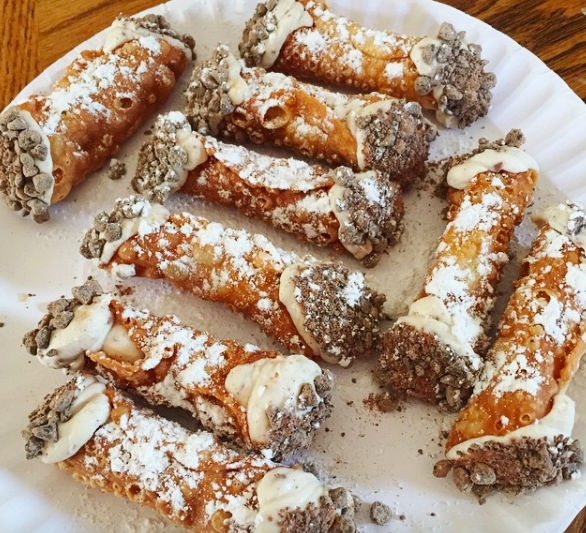 This little sandwich place is not only the fav hangout for all the Hills people you know (aka the Tay Swift squad), it offers the most delicious cannolis in the WORLD. Yes, they have awesome paninis, but that’s not the only thing you can try. We promise you’ll be absolutely obsessed. Here’s more L.A. eats that’ll rock your world. 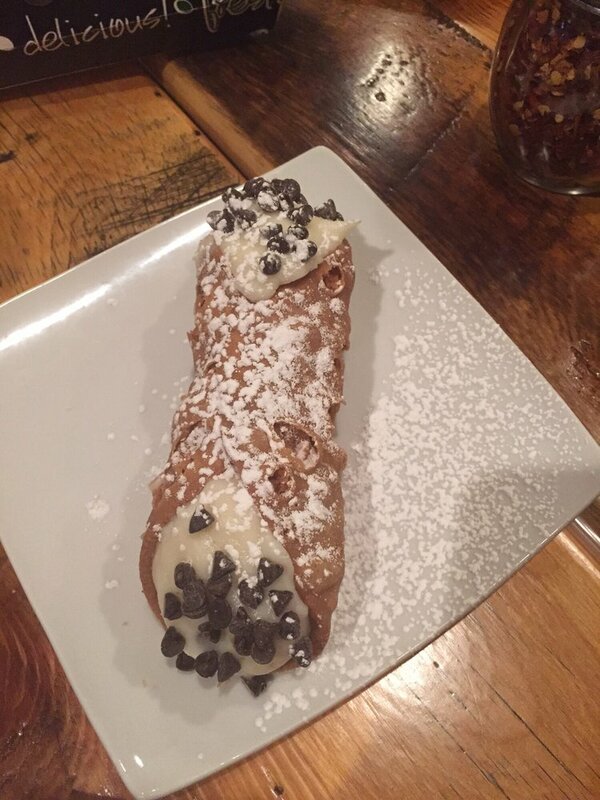 This place specializes in cannolis, and boy are we grateful about that. Choose from a serious menu that ranges from their “Seattleite cannoli,” made up of espresso cream to their “Go Bananas” made up of banana cream. Mm mm good, hmm? For more Washington state eats, read this. We were told to save room for dessert because apparently the chocolate cannoli is the best thing ever. Located in one of Austin’s mid priced neighborhoods, it’s the perfect place to indulge without bankrupting yourself. Made with fluffy ricotta cheese (aka done the right way), you’ll melt. For more Austin sweets, read this to find the best milkshake places in the city. Honoring their grandfather’s legacy, Christine Corrado and Rosanne Valenti along with other family members follow his footsteps using his recipes from the 1920’s. Shells are made fresh every Friday, and cream is stirred in a double boiler and whole cinnamon sticks are added, then the cream is mixed with Hershey’s chocolate and the ends are coated in crushed almonds. Unreal? We like to think so. Here’s some more stuff you’ve got to do in Michigan, just ’cause you’re in the neighborhood. 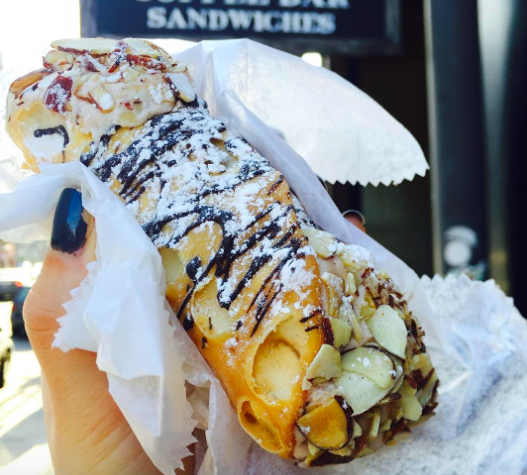 With lines out the door, you’ll be hard pressed to even get your hands on one of these high demand cannolis. Some locals can proudly say their families have been going to this shop for generations, and isn’t that just awesome to hear? YES. In business over 100 years definitely doesn’t lie. In the meantime, here’s more places you can eat in Philly. Made to order (because you’re worth it), you can order online or by phone and pick up your sweet treats. Perfect for all y’all Vandy students, it’s the best way to show that special someone (or yourself) how much you love them (aka you). Looking for more Nashville options? Check out these other really popular Instagrammed foods. A native of Treviso, Italy, Paolo Dalla Zorza opened his gelateria in 2000 after studying all gelato forms around the world. 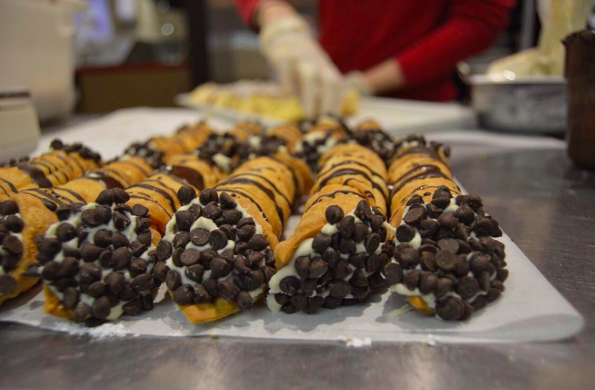 He expanded his operations in the form of 62 flavors in his Atlanta flagship, and added a “cannoli bar” where customers can customize their own cannolis (crazy, right?!). While you’re at it, try these must-have Charleston desserts. Located on historical Federal Hill, this place is known for their “service with a smile” and wonderful desserts, even though the location is tiny (and absolutely freakin’ adorable). One of Providence’s best bakeries, it can get very busy, but it’s awesome. Here’s some awesome other Providence joints you’ve got to visit. 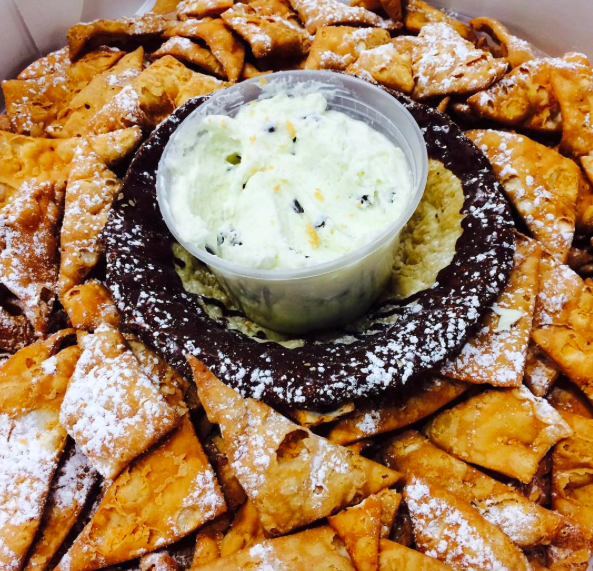 We’ve just discovered that CANNOLI NACHOS are real, and you can find them at DiMare Pastry Shop in Stamford. Perfect for Friday night football, birthday parties, or any given Friday night with the gals, it’s basically perfection on a plate. For more stuff to eat in the area, read this. 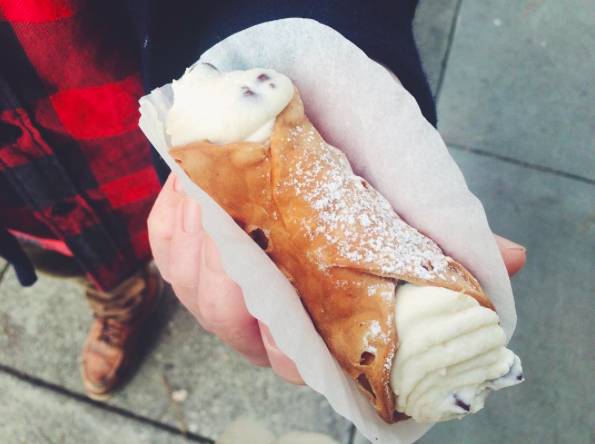 This Italian market should become your go-to destination every time you’re in the DC area, but also, they sell great takeaway cannolis so you can (perhaps regularly) indulge on your favorite habit (because I know I will). For more treats in the DMV, check out this handy guide.